The headlights look curious as someone has converted the originals to a pair of early dipping reflectors to obtain double dipping – this must have been done before the invention of twin filament bulbs, when solenoid operated dipping reflectors became redundant. 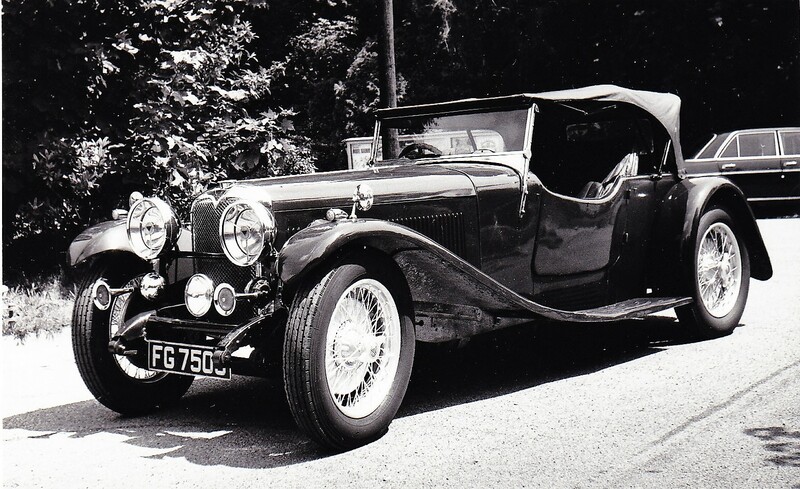 The 1932 model year SA VDP sports were not fitted with external door handles and the doors were quite small and well inset into the coachwork, in true vintage style. The single modern driving lamp is aimed rather high (good for reading finger post signs after dark!) and the long trumpet horns are not original. The ‘flat’ radiator is evident behind the stone guard.